It's going to be a busy spring and summer! Check our website at Buffalo Stamps and Stuff for descriptions, dates and photos. We will be posting ALL info and photos as soon as they are available. 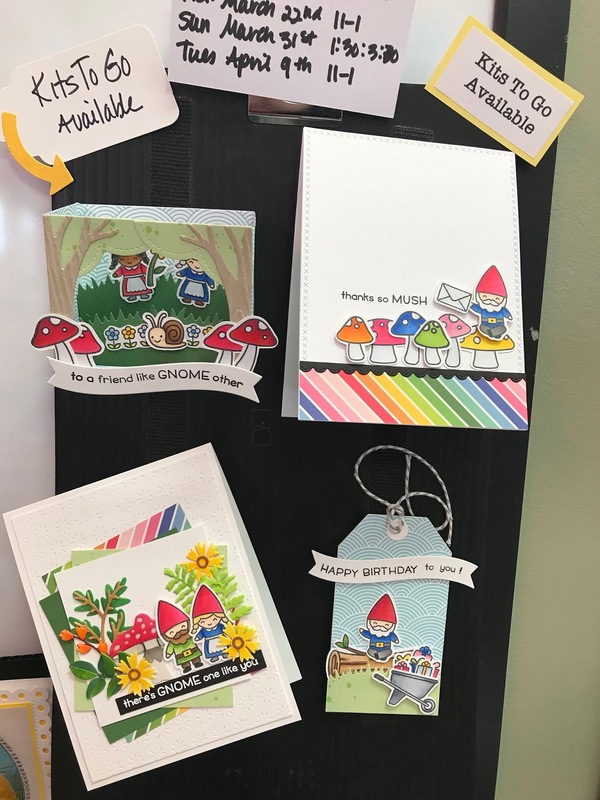 New product...Newton's Nook. They make really cute stamps, many animal based. They have a farm yard set out the we have already sold out of and have more on order. The phrases in it are too fun, but you'll have to wait til we get the stamp set back in the store. In the meantime, here are some samples and photos of their other new sets. 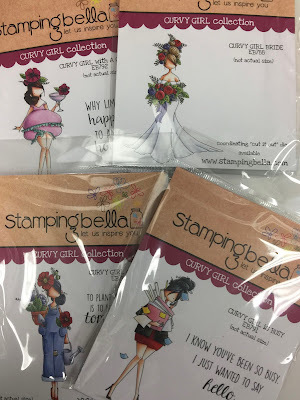 Stamping Bella is next up with some new, slightly different but very colorable stamps. Next up are some samples from Penny Black. Look for these to be part of the PB classes we have coming up. I'll have photos of the new Alexandra Renke papers next week. They are just delightful. Until then, happy crafting! stop in the store and ask Sharon all about the process. Yeah, I know, I'm always telling you my favorite season is fall, true - BUT...I love the colors of spring especially after a Buffalo winter. 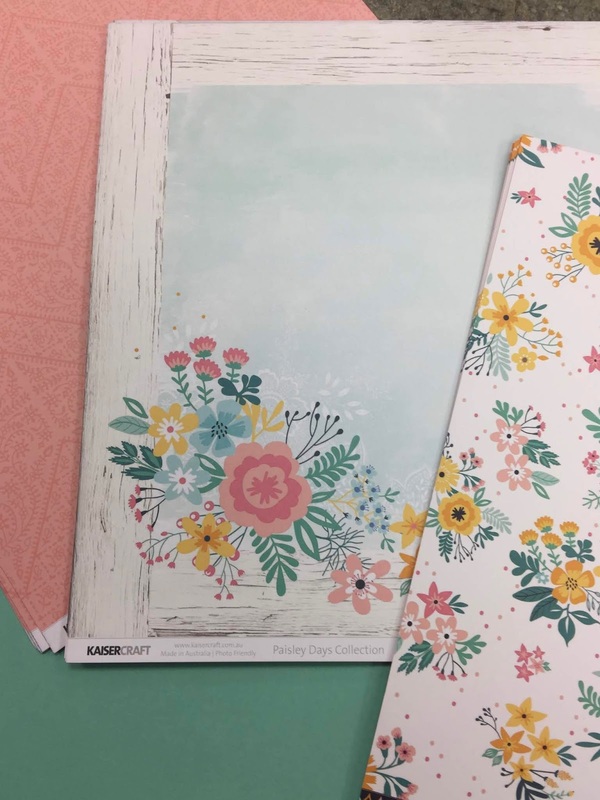 We haven't quite gotten to the springy floral part of spring yet but we have in terms of the colors we are seeing in the new product and supplies that are coming in. I also found an interesting photo I'll share at the end of this post. If you haven't heard we have the new Wendy Vecchi Make Art STAY-tion in! Sharon ordered 30, we have several special orders and we've had a steady stream of people who want it. If you are one of them, get it while you can! Once our initial order is gone it may take a while to get it back in - just a gentle warning. Also new is the latest release from My Favorite Things. They have a really cute set of animals taking selfies. If you are on Pinterest, search MFT and you will see samples. 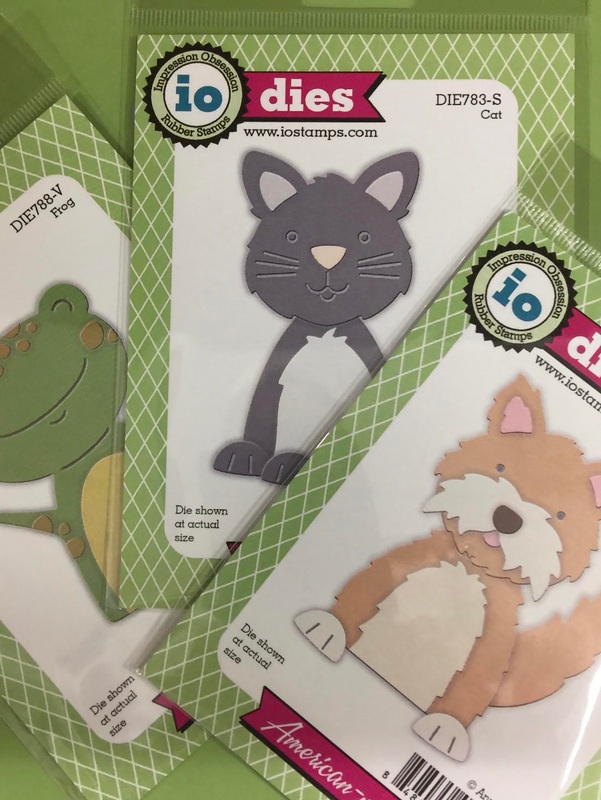 They also have a really cute treat bag topper that is a great multi-use occasion die. 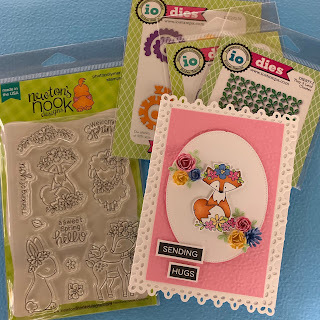 You can decorate the topper with your favorite stamps, dies and embellishments, fill a glassine (or other) bag, adhere and you have a great treat gift. The new release will be in the store soon, if not this week. Now, on to what I have for new product photos. Janelle's son, Judah, helped me put these Whipper Snapper stamps out on Saturday. He's a great helper! We have a great new selection of Impression Obsession (IO) dies in. 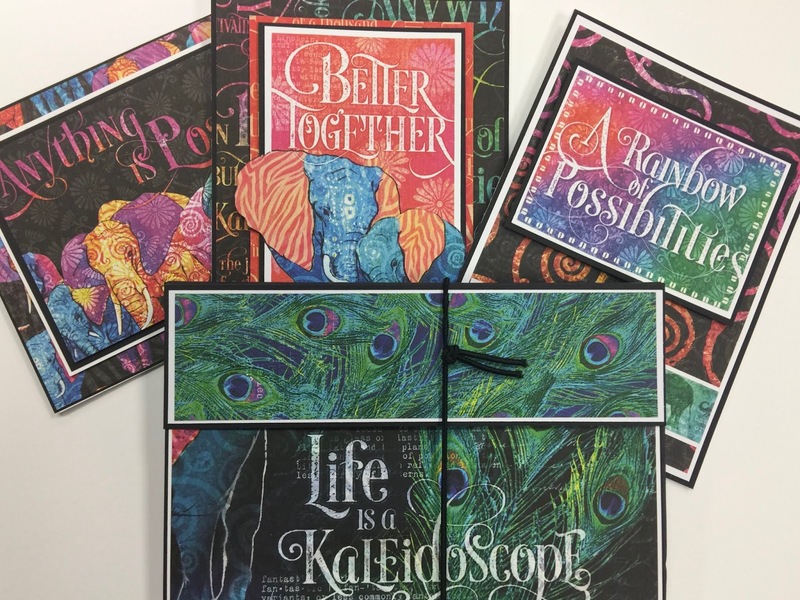 For a little inspiration, we have several cards made with new releases from MFT and IO. Lastly, who said you could only color eggs? Keep on crafting and have a great week! Kits To Go and More! We're trying something new. We are often asked if we have kits for the classes we run. Many times it depends on wether the instructor has extra kits and more importantly if it is a class that can be done independently from our store setting. Many times there are parts of the class that require a certain die, stamp or technique that you get from taking the class. Those classes are harder to provide stand-alone kits for. That said, we do have several classes each month that can be done with the basics provided in the class kit. We have decided to take these classes and provide a limited number of class kits for purchase. Each month if there are classes that we can easily create kits that can be done with basic instructions, we will offer class kits for sale. There will be a limited number of these kits available. There will be a "Kits to Go Available" sign on each class sample we have kits for. The cost of the kits will be the same as if you attended the class. We will provide a basic instruction sheet at the time you purchase the kit or you will be sent instructions via e-mail. Kits will be payable by Cash or Check Only. You will be able to call and reserve a kit and we will hold it for you, but not indefinitely. 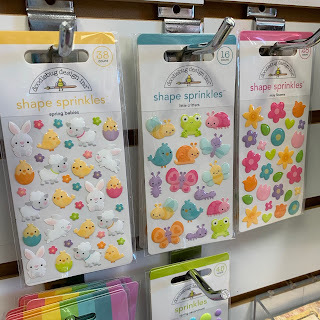 Look for a display behind the register for the classes that are available and if you see something you like, welcome to Buffalo Stamps and Stuff - To Go! 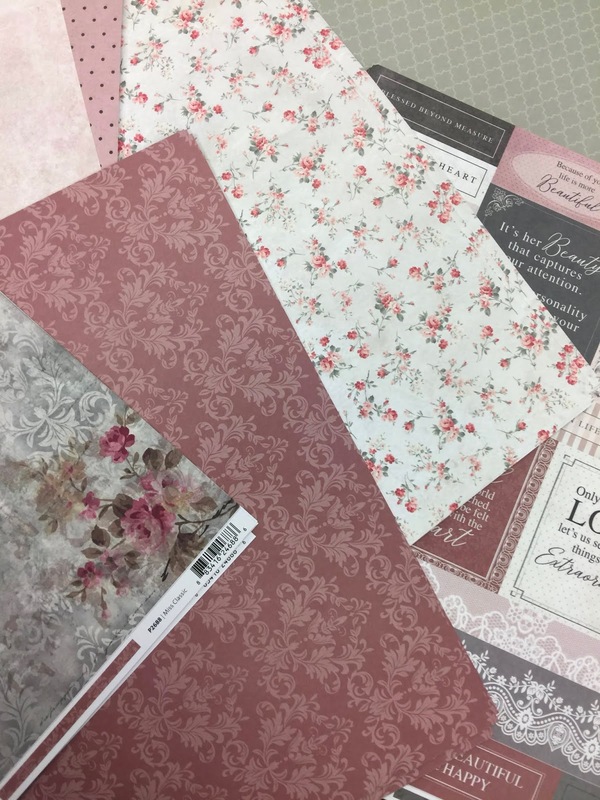 A few new products this week and some inspiration from new products. First up is new Altenew products. 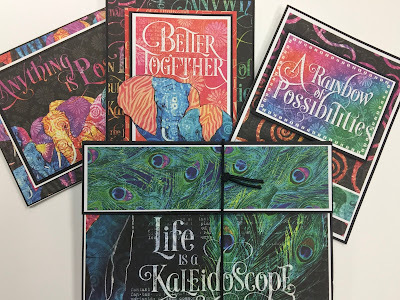 Altenew makes doing their layered stamp technique easier by using their coordinated ink cubes. 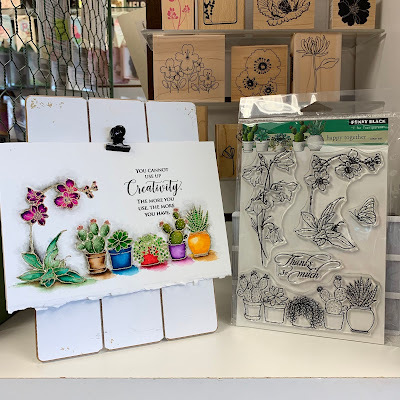 Many Altenew stamps are also a great product for watercoloring. To help you achieve the similar results to those you see in their samples and videos, we have their Watercolor Brush Markers in stock. More product photos. New florals, great for coloring from Impression Obsession. We have a Stamping Bella class coming up with these little floral topped cuties. Gnomes are not just for Christmas any more! If we can have Oddball teens (and who doesn't). We can have Oddball animals. What would a Thursday post be without paper! Looks like Kaiser to me. I love Newton's Nook! Here is a little inspiration from them. I love, love, love this watercolor and gold embossed image created with this stamp set from Penny Black, LOVE IT! 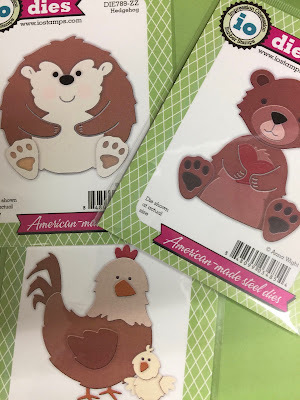 Adorable epoxy stickers from Doodlebug! I have some more great inspiration for you this week. 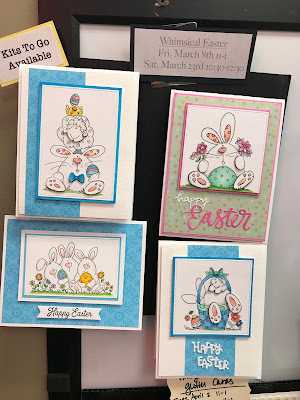 Mona is the queen of die cuts and she has gone to town with these spring and Easter dies. What fun! Whew! That's it for this week. Come on in and check everything out! Have a great week and happy crafting! I'm Back! - And so is SPRING!